A California dog is getting a new “leash” on life in Edmonton. 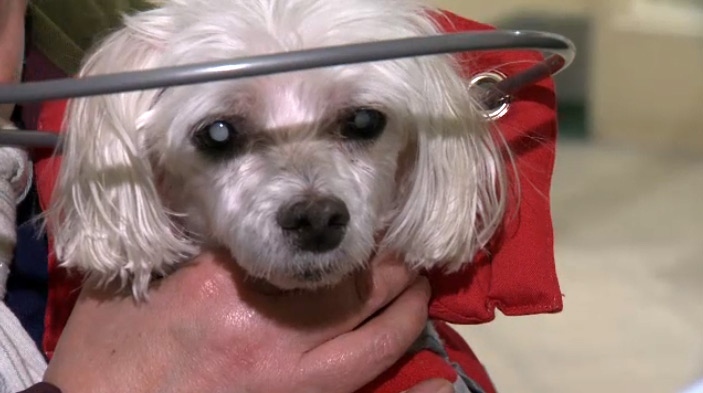 Mikey is a blind, diabetic Maltese who gained fame online after his owners lost their home and were forced to give him up. Because of the dog’s special needs, the family had a hard time finding someone to care for Mikey. Fearing that he would be euthanized at a shelter, they took to social media to find the dog a new owner. Carol Albrecht of Edmonton stepped up to adopt the dog, sight unseen, after the recent death of two of her dogs. 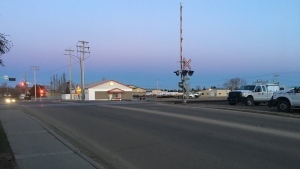 Mikey arrived at the Edmonton International Airport on Tuesday night, and Albrecht says he’ll fit right in. A group donated $1,000 to cover Mikey’s flight to Canada. Mikey arrived in Edmonton on April 9 to meet his new adoptive family.